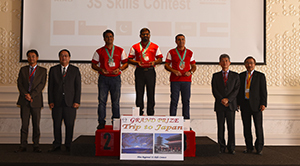 The competition had both theoretical and practical challenges, which were judged by specialists from Hino Middle East and Japan. The theoretical phase of the challenge covered sales, product knowledge and extracts from trainings conducted by Hino Middle East. 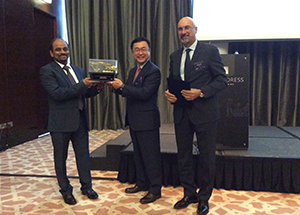 Motorcity, the sole distributor for Hyundai Heavy Industries Co. Ltdin the Kingdom of Bahrain, was named Top Dealer Distributor in the Middle East & Africa region for the year 2016. Hyundai evaluates dealer performance through an assessment of sales growth, market share, marketing activities, after sales support, facilities, and other criteria. The award was announced during the Hyundai Dealers Conference, which was held in Dubai. 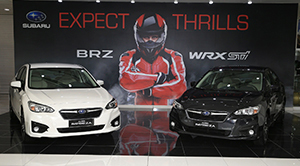 Motorcity, the exclusive distributor of Subaru vehicles in the Kingdom of Bahrain, unveiled the all-new 2017 Subaru Impreza on the sidelines of the two-day Subaru Annual Middle East and Africa (MEA) Distributors meeting, held at Sofitel Bahrain Zallaq Thalassa Sea & Spa. 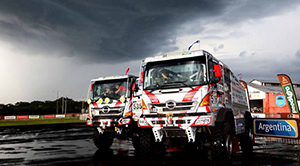 The team's two HINO500 Series trucks pass vehicle inspections without a glitch, and the team is geared up to begin the race on Jan. 2.